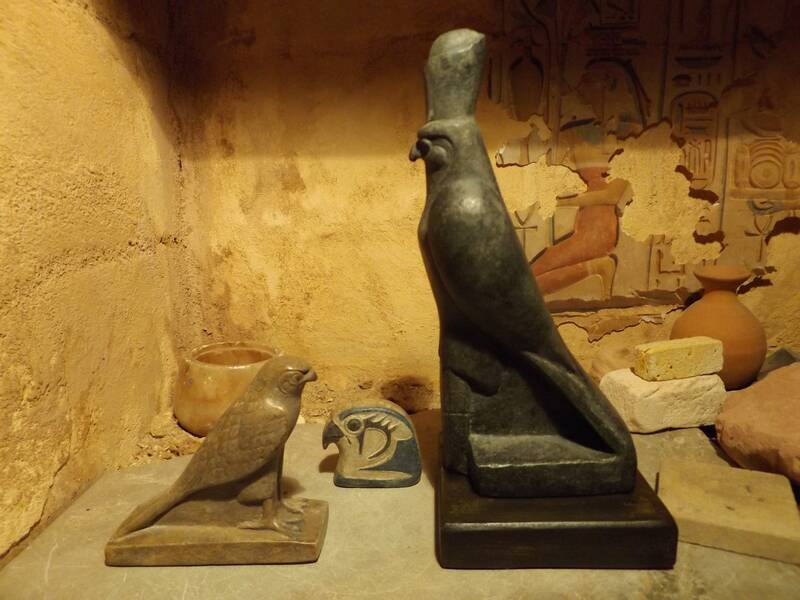 On offer here is a special Horus collection featuring a pair of statue replicas and one of my amulet compositions depicting the Egyptian god of the sky. 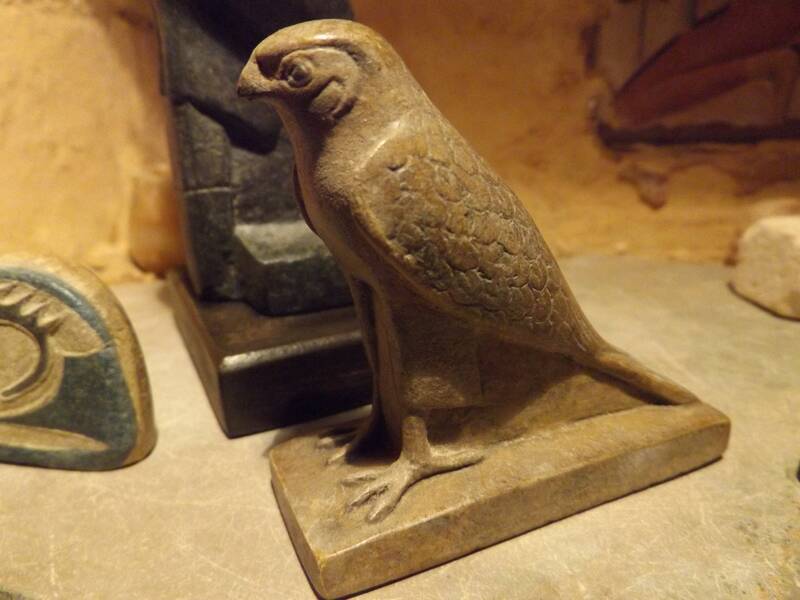 The small Horus figure is typical of the varieties made during the Ptolemaic period and has a nice form with attention given to feather and claw detailing. Length - 7.7 / 3 inches approx. 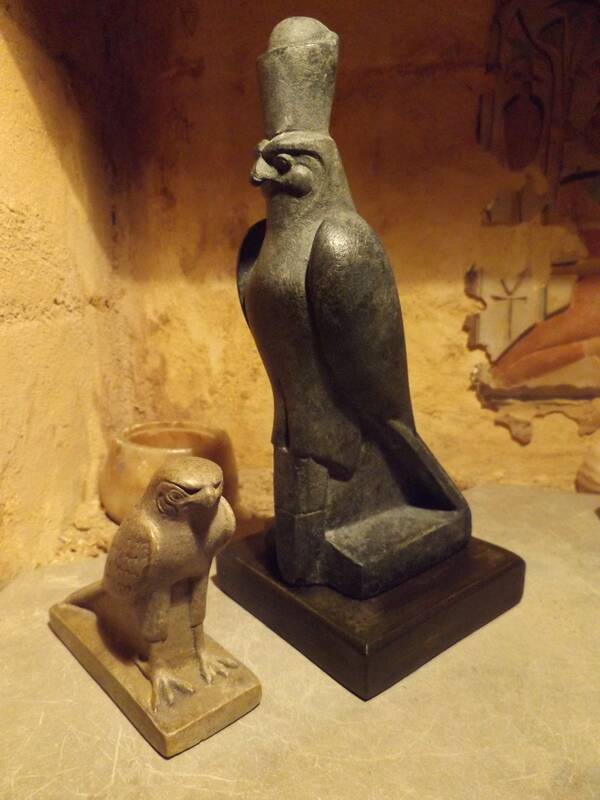 The larger statue features Horus of Edfu. Sleek by design and powerful of face, these statues protected the entrance gates of the temple directly in front of the massive pylons of Egypt's best preserved temple. 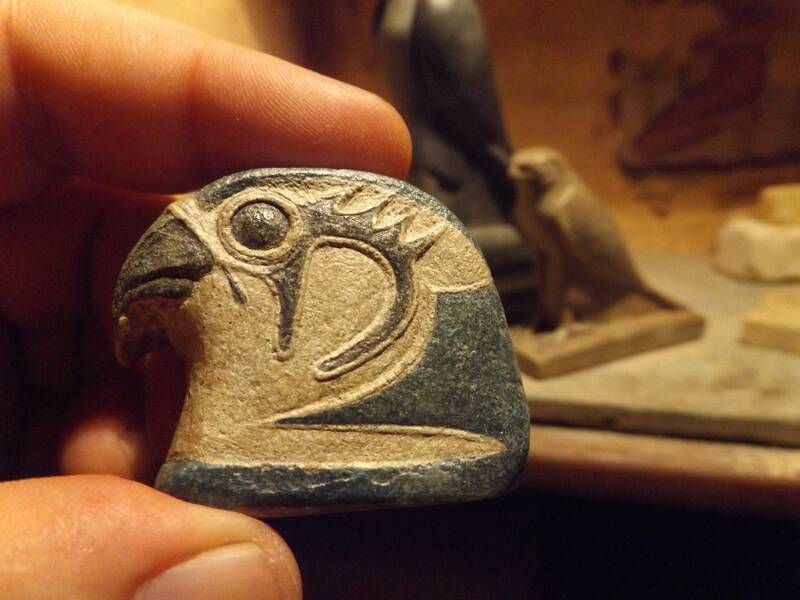 The amulet is a replica of the first object I made when returning from Egypt for the very first time. 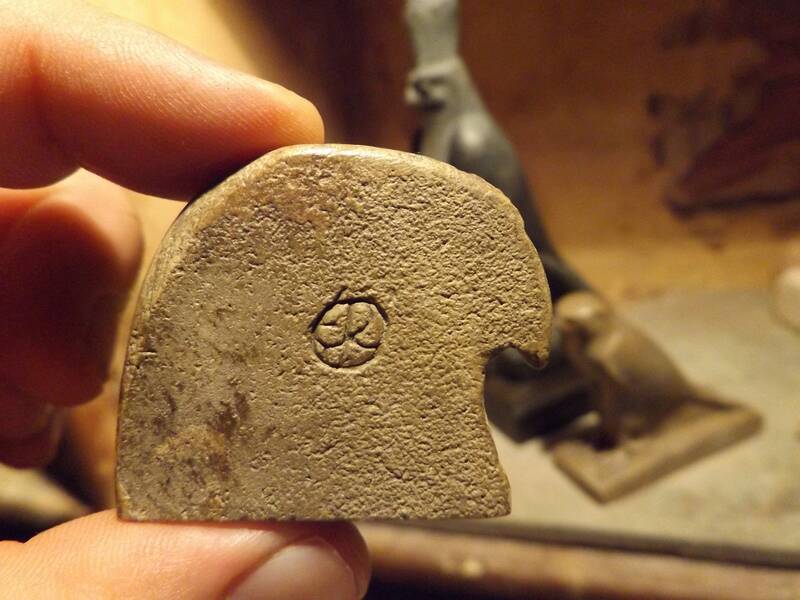 I was Inspired by spending my birthday at Edfu - the great temple of Horus and vowed to make a little something to remember it. It is hand painted and captures the essence of the deity with all essential facial details. 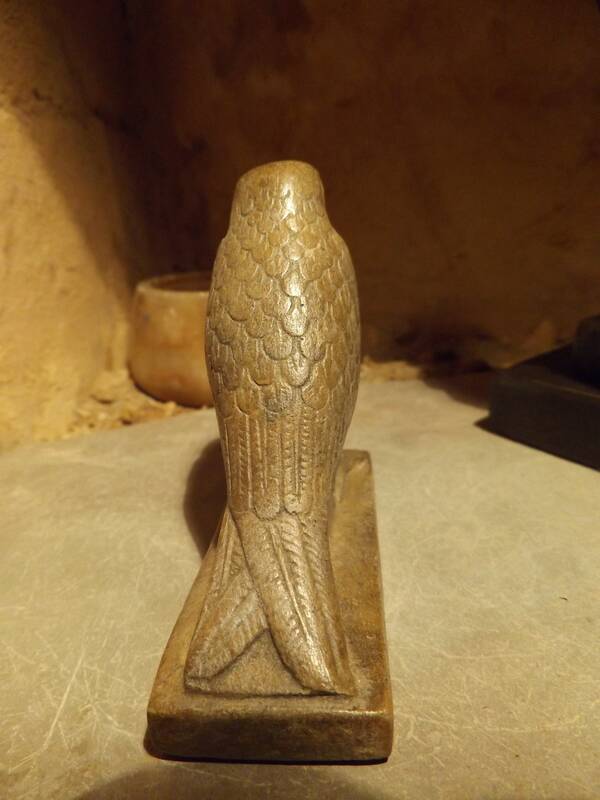 This group of objects offers a pleasing and thought provoking display. 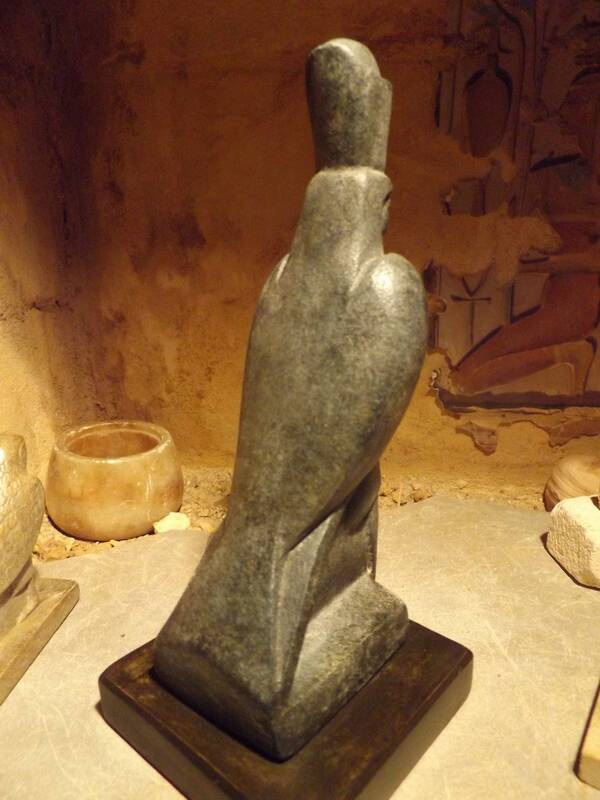 Horus was one of the most ancient of Egyptian gods being the progeny of an immaculate conception between the God Osiris and the Goddess Isis. 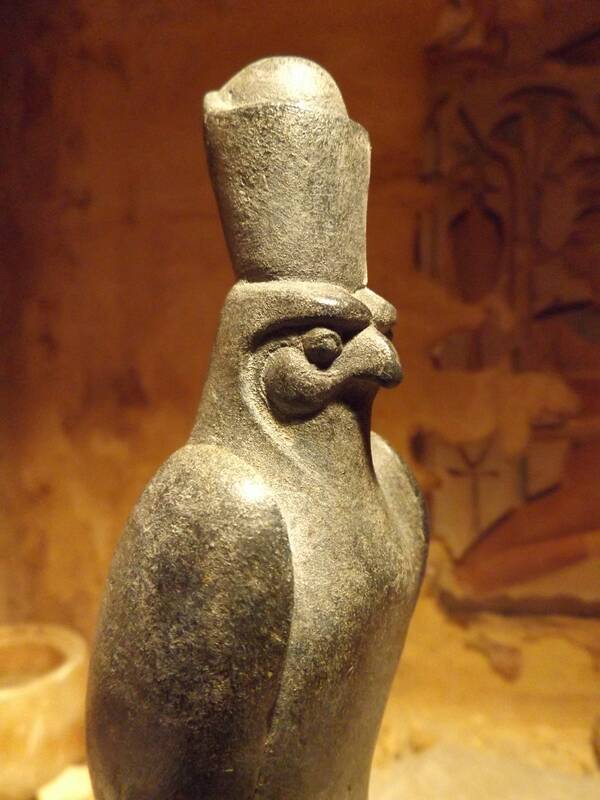 At certain periods the reigning king of Egypt was known in one of his titles as 'the living Horus' who would try to establish and maintain order from chaos. 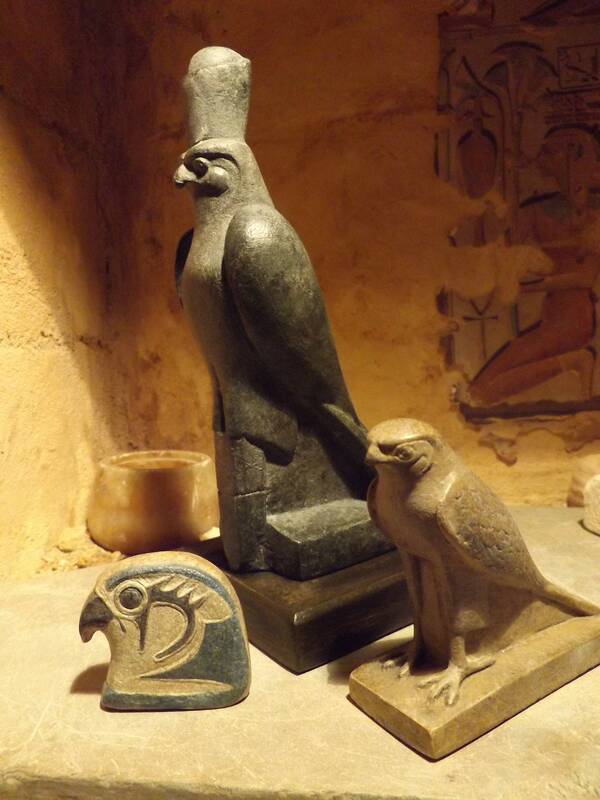 This was the nature of Horus. A defender and fighter against his equally matched uncle Seth who was the god of disorder and destruction, storms and earthquakes. 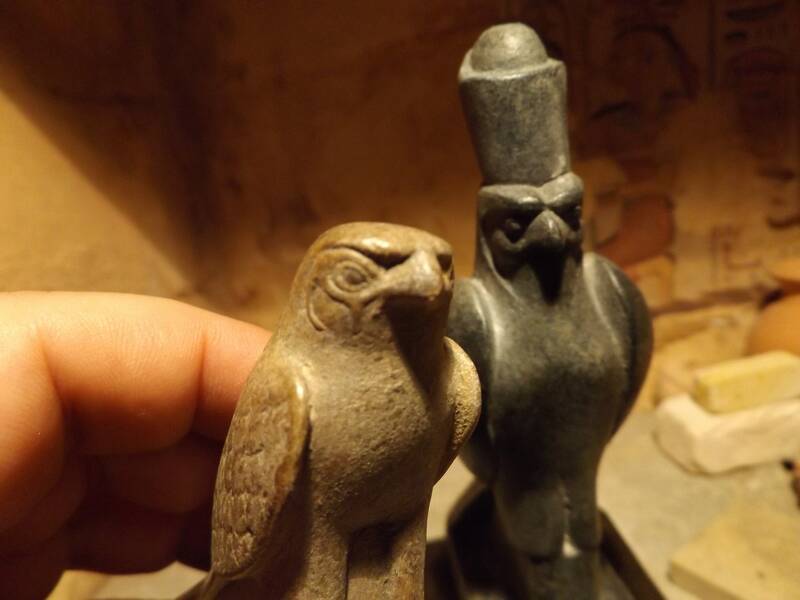 Depictions of Horus fighting Seth are common and can be looked at as the Egyptian version of Yin and Yang because one cannot overpower the other. Night and day, black and white, good and bad.